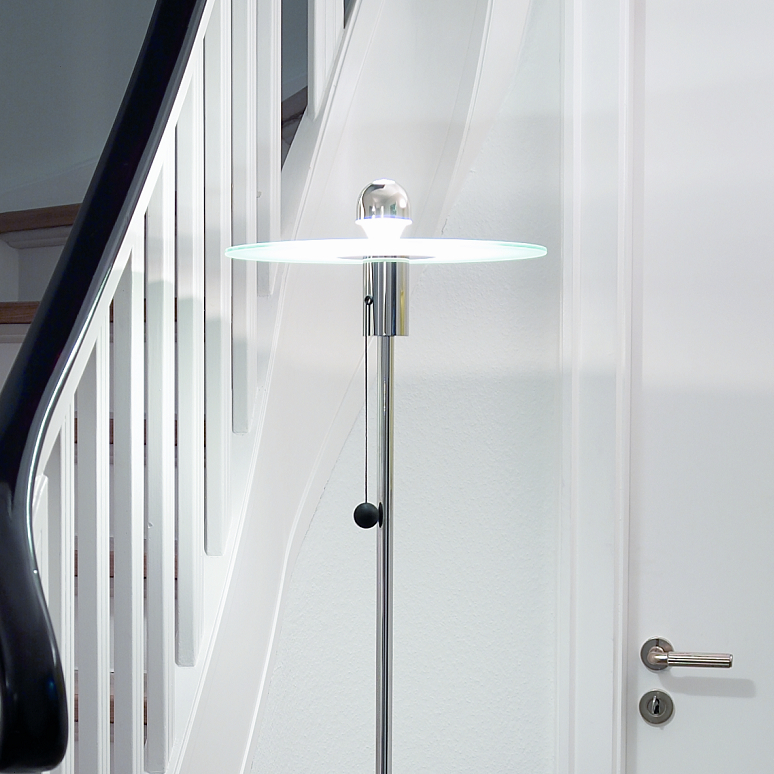 In 1923 the Hungarian Gyula Pap created the design of the slim Bauhaus floor lamp BST 23 at the Staatliches Bauhaus Weimar. Decades later Tecnolumen decided to produce a replica and put it into series production. To keep the re-edition true to the original they worked with data from Gyula Pap and with his floor lamp at the famous Bauhaus sample flat in the Weimar Haus am Horn. Above a black nickel-plated iron plate seems to hover a disc of frosted glass, which catches and reflects the illuminant's light. The visible bulb is covered by a mirrored dome, a tricky and still contemporary design Pap created as a reaction to the newly upcoming kind of lightbulbs.